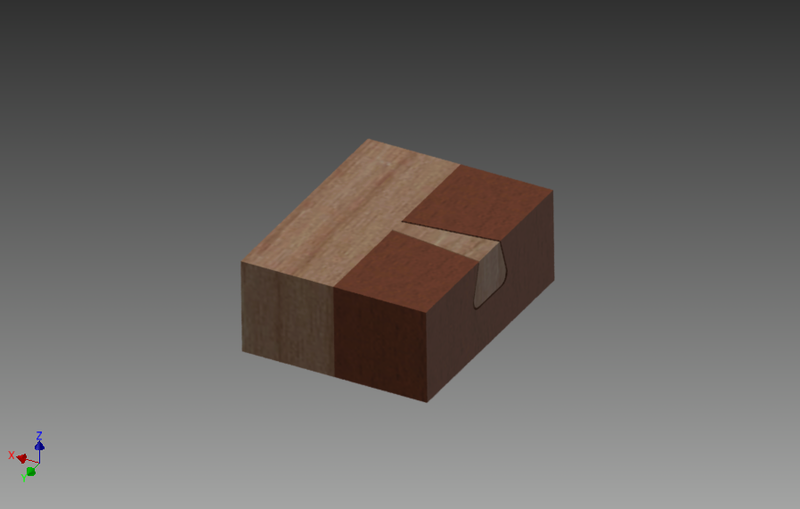 For this week Impossible object, we will revisit the dovetail joints and have a look at some interesting variation on the theme. This time we will use the “master sketch” technique in Inventor to build our different pieces. This technique is using a single part with all the sketches required to model the whole assembly. Each piece is then derived from the master. To update the model, you just have to update the master sketch, and if everything is properly built, your whole assembly should follow. The inventor result files links are at the end, with the STL and the thingiverse link. To start, create a part with a bunch of user parameters to control the design. Then on the horizontal plan XY create a sketch with the outline of the 2 main blocks (length*width). 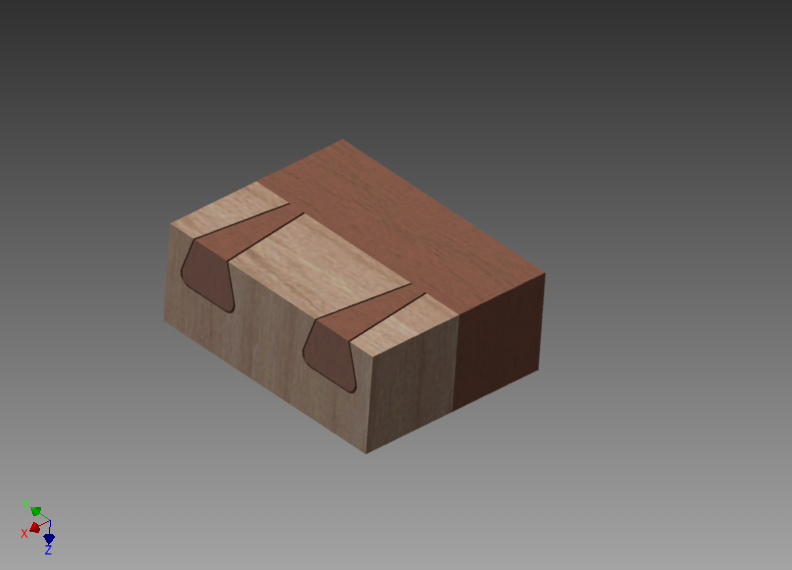 The dovetails are extruded on a non-vertical plan, so the easiest way to control the result is to create a sketch in XZ plan and draw a segment with ‘Tilt’ angle from the horizontal. 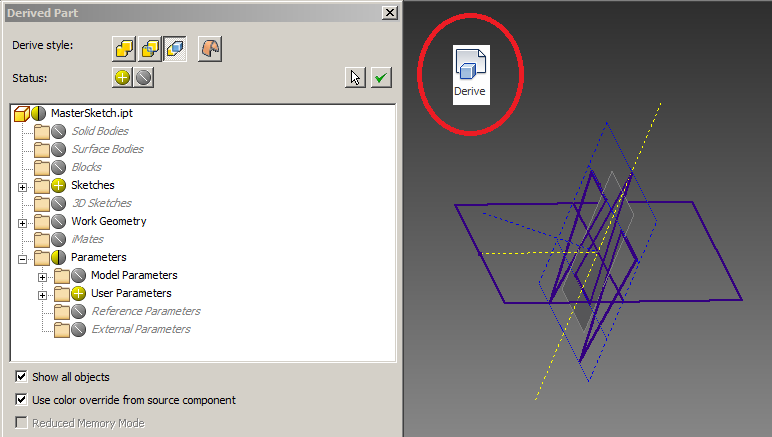 Then use this segment and the origin point to create the work plane using “Normal to axis through Point” tool. The next sketch will be on this newly created plan. The left triangle and the left side of the center one are drawn and the rest is a mirror copy. The base of the left triangle is at length/5=10mm. 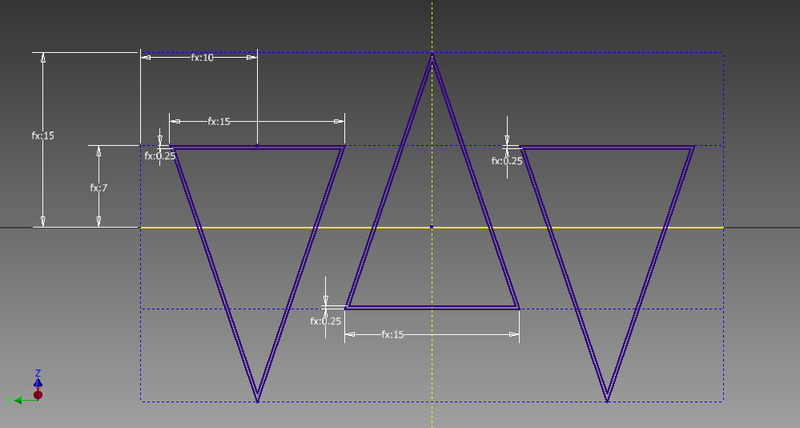 To allow some clearance in the pieces, all triangle have been “offset” inside by “clearance” parameter (0.25mm here). The final master sketch part should now look like the view under. Each sketch will be used multiple time to build the piece, so don;t forget to make them “visible” again once they have been used by an operation. The first thing will be to create the “male” dovetail in the center, so the first step is to extrude the small version of the center triangle by a very large amount on both side. 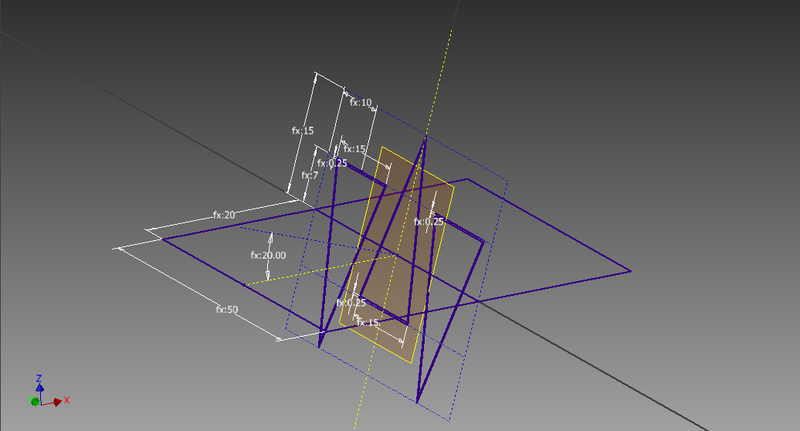 Then extrude the left rectangle by height and keep only the intersection. to create the dove tail. Now the main body can be created by Extruding the right rectangle by “height”. To create the 2 side female dovetails, just select both the external rim and the internal triangle on both side and cut into the main piece. To finish the piece you can add a fillet on the internal side of the dovetail. 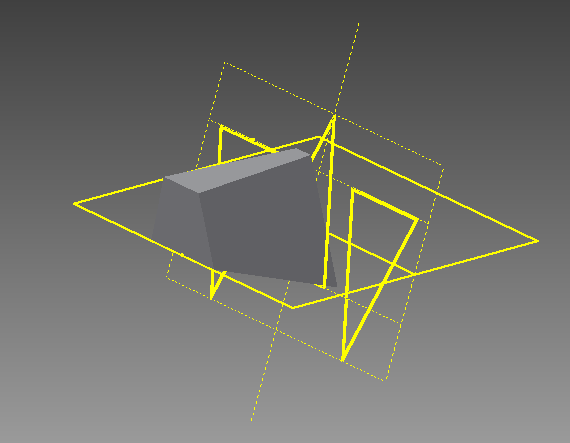 The second piece is created the same way, from a derived part except you have to do the “negative” geometry. I’ve printed the result to check that the piece would indeed fit and yes it works! 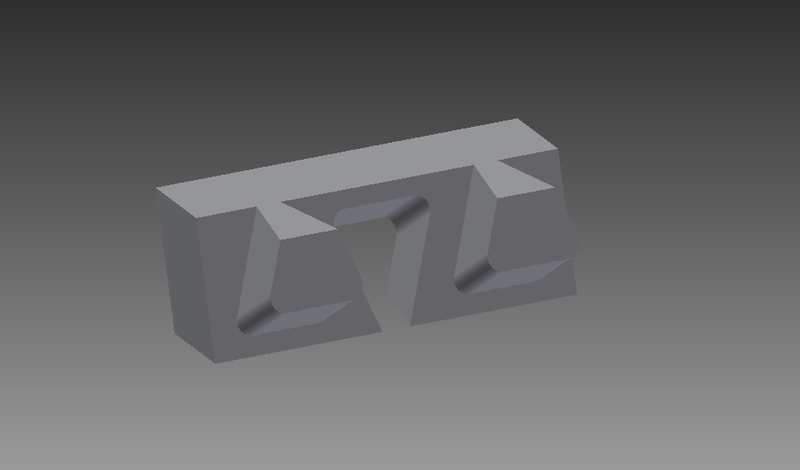 The STL files are available in Thingiverse here and the Inventor files are here. 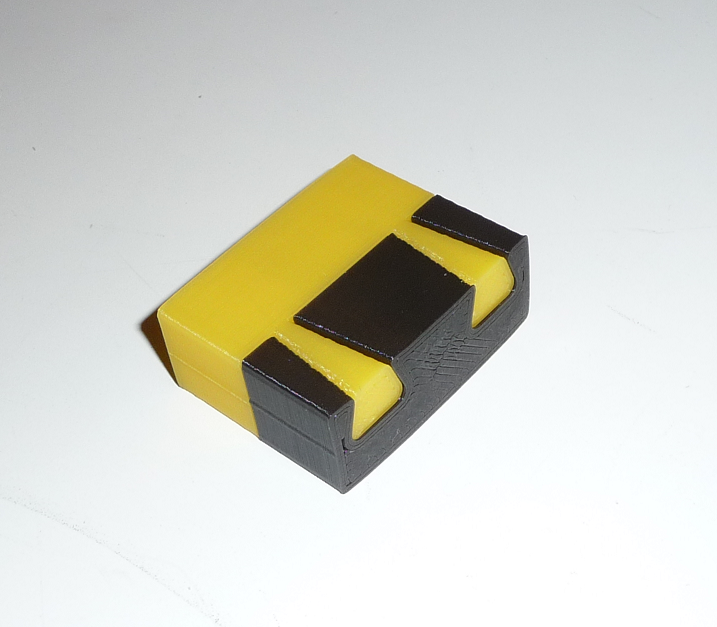 This entry was posted in 3D printer, 3D Touch printer, Autodesk Inventor, Impossible Objects, STL files and tagged 3d printing, Autodesk Inventor, dovetail, impossible objects, stl files, Thingiverse, tutorial on April 30, 2013 by damienideas.